Kostas Antetokounmpo started from college to make a name for himself in basketball before he was officially drafted. After an impressive high school and college stint, he was drafted by the Philadelphia 76ers in the 2018 NBA Draft. The Greek basketball player is a delight to his fans as well as counterparts. Within his short time in the NBA, he has been in talks with several teams who tremendously deem him an asset to their organization. Kostas has handled all negotiations with so much grace and poise, becoming a model for young and aspiring NBA players. It would be interesting to know what his high school and college days looked like before his professional debut. Here are lesser known facts about the NBA player. He was born Kostas Ndubuisi Antetokounmpo on November 20, 1997, to his parents in Athens, Greece. Growing up in Sepolia, Kostas started at a very young age to exhibit a forte for basketball. His interest in the game soon pushed him to join the junior youth teams of Filathlitikos in Zografou, Athens. It seems the Antetokounmpos really warmed up to the sports because Kostas’ older brother Giannis is an ardent lover of basketball and also a notable basketball player. Their very supportive parents also made sure they had all they needed to excel in the sports. Kostas’ parents approved of their children’s dreams as they resorted to moving to Milwaukee after Giannis was drafted by the Milwaukee Bucks in 2013. They wanted to stay together with their kids regardless of where their career took them to. Kostas Antetokounmpo is an alumnus of Dominican High School, Wisconsin. He was a renowned basketball player at the school and led the school’s team to a state championship. This, as a matter of fact, is just one of his achievements in high school, in both junior and senior years. After an impressive performance in high school, Antetokounmpo proceeded to the University of Dayton. Before his college stint, he played for the Greek under-20 national team. Kostas became a member of the school’s Flyers basketball team and made quite some impressive records there. During the 2016-17 season, his freshman year, he was redshirted after it was discovered he had spent his first two years in Greece. The following season, the basketball player was ready for takeoff and made his debut with an impressive record of 5.2 points, 0.2 steals, 1.1 blocks and 2.9 rebounds in 15.1 minutes per game. Knowing his potentials more than anyone, Antetokounmpo opted for the 2018 NBA Draft and also revealed his intentions to go pro that same year in the draft. Contrary to predictions of being selected in the second round, he was the last pick by the Philadelphia 76ers in the 2018 NBA draft. Kostas was subsequently traded to the Dallas Mavericks where he signed a two-way contract. Per the contract, the former Dayton player would split his playing time between the Mavericks and the Texas Legends, their NBA G League affiliate. Kostas also played during the 2016 FIBA Europe Under-20 Championship Division B and won a bronze medal in the tournament. 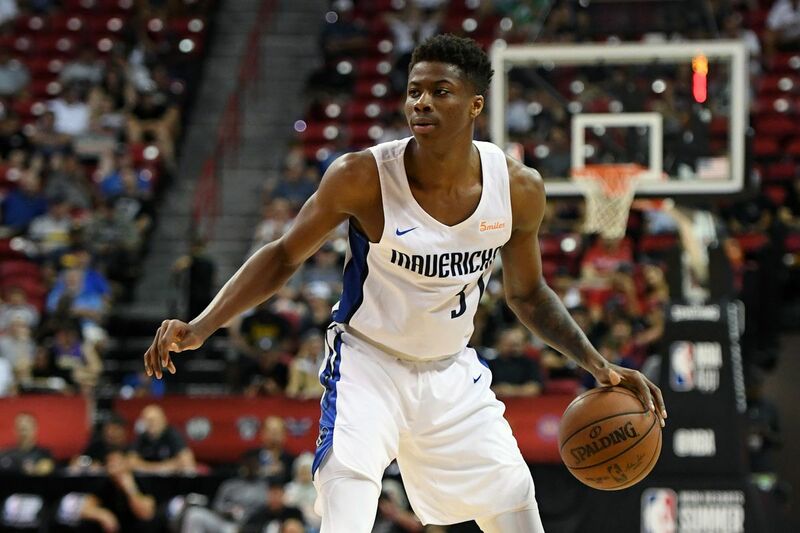 Kostas Antetokounmpo, like most of his counterparts, has got the right body for his demanding career. He may not be the tallest in the sports but has just the perfect height needed for scoring his baskets. He stands at a height of 6ft 9in (211cm) which is quite proportional to his weight of 88kg. Kostas’ wingspan of 7’2, his long hand length of 9.25, and hand width of 9 aids his tight grips and reach. His standing reach measures at 8-11.5. Kostas is of Nigerian-Greek nationality. Apart from his older brother Gianni, Kostas also has another brother Thanasis who also plays basketball and one other brother named Francis who has played professional soccer. When he played for the University of Dayton, Kostas was trained by the popular coach Archie Miller. Kostas’ brother Giannis Antetokounpo is a superstar in the field of basketball. He was drafted by the Milwaukee Bucks, in the 2013 NBA Draft and has been a delight to basketball lovers and his counterparts alike. Kostas was predicted by many to have the same fate as his brother Giannis who was picked in the second round during his draft but contrary to the predictions, he was the last pick of the 2018 NBA draft.